As interventional radiology transitions into its own specialty, exposure to this field as a medical student will also become independent. IR rotations provide those interested in the specialty with a unique opportunity to gain exposure and experience. I was lucky, as my university began to implement a one month long rotation just as I was beginning fourth year. 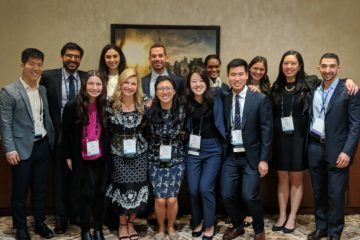 The rotation presents significant challenges to a student looking to perform well and contrasts from the overall experience of a general radiology rotation. I was one of the first medical students to experience this substantial challenge firsthand in May, 2013. Since my inaugural rotation, nearly a dozen students have rotated through and approached me on how to succeed in this unique opportunity. I have put together a collection of tips that reflect both my own thoughts, as well as some of my colleagues’ on how to have a successful experience. 1) In preparation for the rotation, communicate with radiology residents at your institution, especially those interested in IR. This isn’t a groundbreaking tip, but you could really be surprised by the change in environment and dynamic between a traditional diagnostic radiology rotation and this one. Residents serve as a great resource for what the expectations of a student may be and how a student can shine. 2) Brush the dust off of that Netter’s or Gray’s to refresh your anatomy and review some basic pathology. You will be dealing with some straightforward anatomy, but a refresher will ensure you’re able to name all the branches of the celiac when asked, or, in my case, the tributaries to the portal vein. 3) Befriend the techs! This was hands down one of the best moves possible. The learning curve is very steep and the time is limited in a month long rotation. Being on great terms with all of the techs will allow you to quickly climb the curve. Even when attendings and fellows were busy, I was taught about catheters, wires, and sheaths. I was constantly looked after in cases, so I could be a step ahead of my attending on keeping the next sheath or wire ready, or preloading any device. I was informed ahead of time of which rooms the best cases would be in and often had gloves pulled for me as they supported my interests. And, at the end of the day, they made me shine in the eyes of my attending. Do not sell these relationships short. 4) Learn about the basic tools! Nowhere in medical school are you taught about the different wires, catheters, devices, etc. 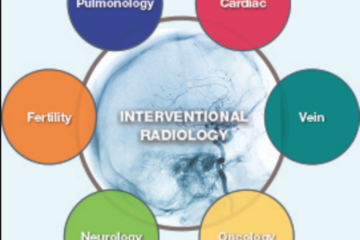 This knowledge is fundamental in interventional radiology. As a reminder, the techs are a great resource for this. 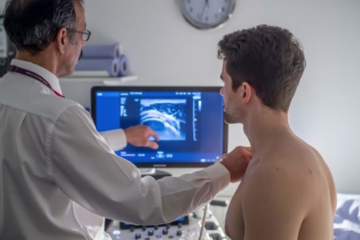 Additionally, Radiology Secrets has sections dedicated to the basics of interventional radiology, including the differences between catheters, information about IVC filters, and even some basic questions you may be “pimped” on. It can be a great, quick read with tremendous upside. 5) Learn the basics, the bread and butter procedures that take place in your institution. They will be the cases where you get to do the most. Guaranteed there are residents that have written the steps down for their own reference. Try to get one of these documents (see tip number 1). A document that had the basic steps for placement of PGJ’s and Ports served as a bible for me in my first week, when I had zero knowledge base. 6) Help with the paperwork. We constantly had preoperative workups that needed to be completed the night before and morning of. At our institution, the post-procedure dictation is completed by residents and fellows, so the work ups become added work. Try to contribute anyways. Take charge of organizing the list and helping to distribute the cases. Not only will the fellows and residents love you for it, but it will give you an edge in knowing what the best cases are going to be the next day. You’ll even be able to read up and be ready for any pimping that may come your way. 7) Some institutions have conferences associated with their IR department. For instance, at our institution there is a weekly interventional oncology session where fellows present cases that are being considered. Working up one of these cases for presentation is a huge opportunity to again demonstrate interest and show your face to many attendings at once. Apart from these tips, be enthusiastic and proactive. This rotation is truly an example of a rotation where your experience depends entirely on you. If you’re not proactive, you’ll be able to skirt by doing little work and be a fly on the wall. However, you also can make yourself integral to daily functions and thus an irreplaceable member your interventional radiology team.